The Moldovan-Croatian cooperation, including the European dimension, in the context of Croatia's taking over of the EU Council Presidency in 2020, as well as the bilateral dialogue in the multilateral format of the Council of Europe, were the main topics of the discussion of the Minister of Foreign Affairs and European Integration Tudor Ulianovschi , Ambassador of the Republic of Croatia to the Republic of Moldova, Davor Vidiš. During the meeting, the two officials reviewed the main developments on the European dimension, related to the current European electoral context, Brexit, and so on. 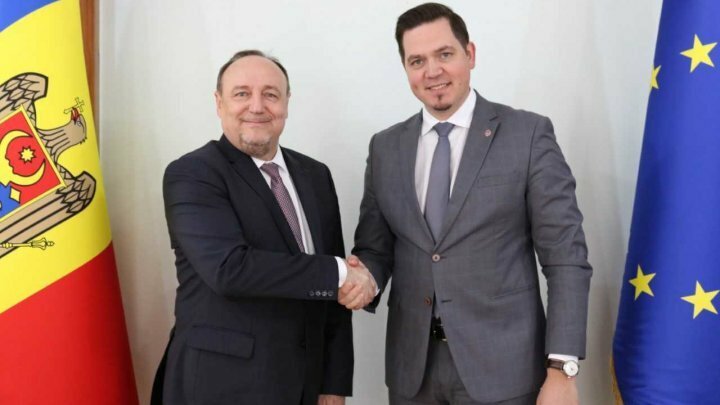 At the same time, Tudor Ulianovschi and Davor Vidiš also addressed the events planned to be held this year to mark the 10th anniversary of the Eastern Partnership and the expectations of the Republic of Moldova from these actions. There has also been an exchange of views on Croatia's Eastern Partnership activities designed to be held as the President of the EU Council in the first half of 2020, especially on important segments of sectoral cooperation such as transport, energy connectivity, interconnection digital, etc. Another topic that they discussed during the meeting was bilateral cooperation between the two countries on the multilateral platform of the Council of Europe. On this occasion, the Croatian diplomat presented his country's candidacy, Deputy Prime Minister, Minister of Foreign Affairs and European Affairs Marija Pejčinović Burić, to the post of Secretary General of the Council of Europe, the elections to be held this year.